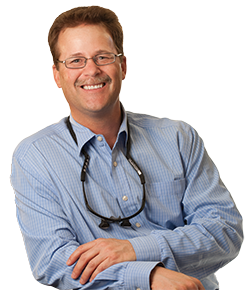 If you’ve been searching for expert Family Dentist in the Grand Junction area, consider putting your trust in Brett Clifton, DDS, owner of Bright Smiles, Family Dental Care. Dr. Brett Clifton and his staff take the time to answer your questions thoroughly. Where friendly staff welcomes you and your children. Where you experience short wait times and your insurance and financial considerations are handled promptly and professionally. If you dread going to a dentist, we have options that will help you feel comfortable. Come in and experience four yourself our state-of-the-art dental office, modern equipment, friendly care and dedicated expertise. Introductory Offer New Patients Only! *Does Not Include Periodontal Therapy. I've been to several dentists in town over the last 25 years, and Bright Smiles has been the most honest and professional. My whole family has gone there for several years now. We wouldn't go anywhere else. Most recently doctor Clifton perform 2 ajoining crown proceedures. The greatest of care was given. In fact I can't tell the originals from the crowns. They work perfect without any complications... I enjoyed a whole thing's giving dinner 2 days later. Thank you Dr. Clifton and your entire staff. I fully trust Dr. Clifton and his staff. His hygienist gives me the most thorough cleanings I've ever had, and she's super gentle. They recently fitted me for an occlusion guard because I have TMJ syndrome from grinding my teeth. I've gotten so used to chronic jaw pain that I had no idea how much better I could feel. After getting the occlusion guard, I noticed improvement right away. My jaw doesn't ache any more! Dr. Clifton is very honest and takes time to explain treatment and answer questions. I have gone to Bright smile for 3 years now and just got done with cosmetic reconstruction. I love them! Now I am not embarrassed to make a big smile. Dr. Clifton did such a great job. His front desk is always nice and helpful. I've lived in the area for about 25 years and been to several different dentists. Brett is by far the best I have found when it comes to quality work, friendly atmosphere and honesty. Also I appreciate how helpful Claudia has been, particularly when it comes to insurance problems.